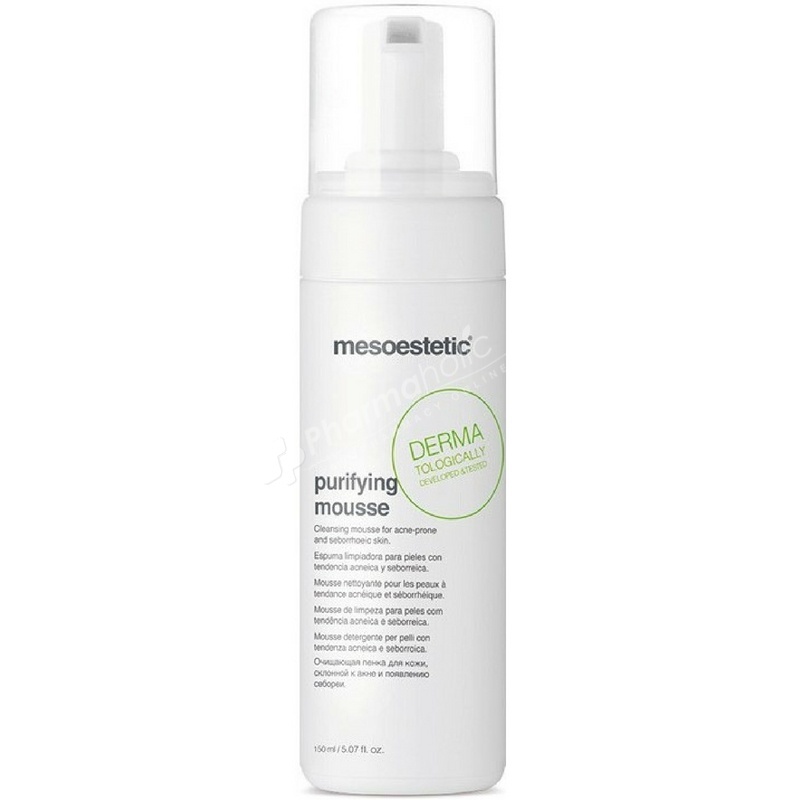 Mesoestetic Purifying Mousse is a daily cleansing foam for purifying and sanitizing skin types prone to acne and seborrhea. Its light texture and formulation, mainly based on glucosides and refreshing agents, enable it to eliminate impurities from the skin, creating optimal conditions of softness and leaving behind a pleasant sensation of well-being. Urea: Soothes skin irritation while also hydrating and softening the skin. Chlorhexidine: Inhibits the growth of micro-organisms. Moisten the areas of the skin to be treated and evenly distribute a layer of purifying mousse by rubbing gently with the fingertips to sweep away the excess sebum and surface impurities. Remove with abundant water.